If you know anything about the world of youtube vlogging, you know that it’s a world of pushing the card, where almost anything goes, and where anyone and everyone could become the topic of conversation. 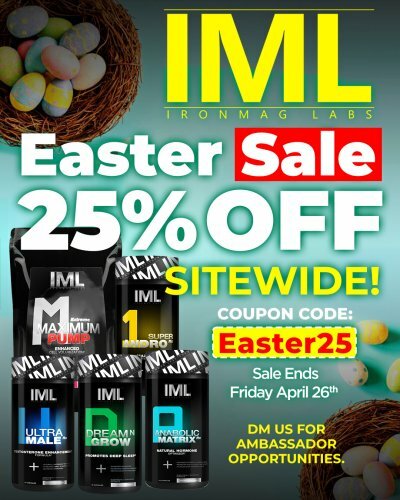 Those in the fitness industry are constantly in the middle of it all. The landscape has changed drastically, however, first with the demise of the magazines, and now, with the seeming demise of the large websites. At one point the websites could hang on by offering lively message boards where people congregated and spent days and nights arguing with each other, but even those forums are shells of what they once were. Most of the people, today, are glued to youtube channels, arguing it out in the comments sections, and many are going out and creating their own channels. Why not, right? All you need to have your own channel, is a computer or phone, an internet connection, and content. Content doesn’t even have to be educational in nature or even newsworthy; in many instances, content is recycled and it’s more about the person hearing him/herself speak. The content, in many cases, plays second fiddle to the eccentricities of the person reporting it. The sad part, however, is when social media stars forget, that the platforms that made them rich and famous, are not public forums, they’re not guaranteed freedom of speech, and if a platform’s terms of service are deemed to be violated, then sometimes that’s all she wrote. 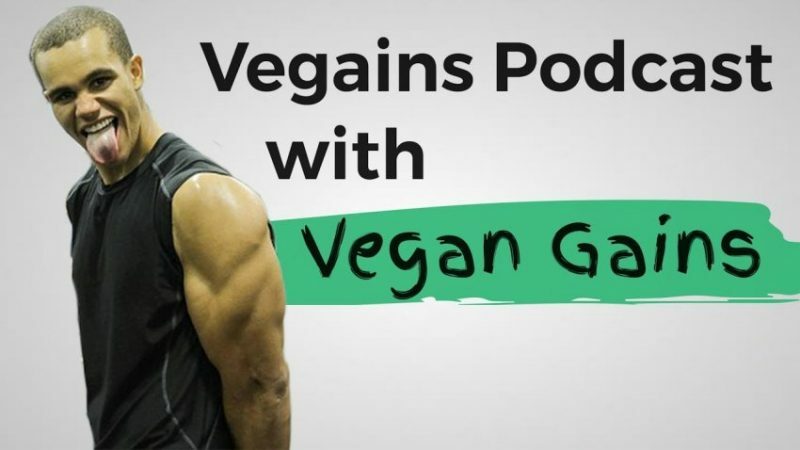 Today’s article is about Vegan Gain, perhaps one of the most talked about – for better or worse – youtubers in the game. He’s earned the scorn of the fitness media elite, rattled many fans’ cages, yet published some of the most popular videos the niche has seen. His unabashed, unfiltered commentaries have demonstrated an ability to get under the skin of pretty much everyone who’s inspired them, from Dave Palumbo to Furious Pete. There’s simply no ignoring Vegan Gains; however, the outspoken, opinionated vlogger’s channel has been terminated by the video-sharing platform. He’s appealing the decision, has pled with his fans, and even made an apology of sorts video just yesterday. Youtube has changed a great deal over the years. In the old days, some 10+ years ago, people created accounts and were all about creating a niche for themselves. I’ve been on the video-sharing platform for that long, even longer, and it’s taken a great deal of time to get my name out there. I’d like to say the page has gone out of its way to help vloggers, but they often make it harder and harder. It used to be subscribers would see all the videos from channels they were subscribed to – but a year or two ago, now they have to toggle a notification button (so then what’s the point of being subscribed?). Without notifications, your subscribers won’t know if new videos are out. Right around the time we lost Dallas and Rich, YouTube starting yellow flagging all videos that seemed to have something to do with bodybuilding, saying that advertising wasn’t suitable for most audiences. What that basically meant, is that most of the video’s ad revenues wouldn’t be earned. That seems to have changed now, or maybe, they’re just not yellow-tagging anymore – I don’t know. What I do know, is that most of the bigtime vloggers have either stopped making videos or make them very infrequently. Those who made a living off Youtube, have found other ways to earn money through their talent. Others have complained that the video-sharing platform has the ability to enforce new policies, retroactively. In terms of law, such a move would be unconstitutional – at all levels – from municipal to federal; however, we’re not dealing with government, we’re not dealing with public forums, we’re dealing with private companies and private companies can get away with a lot more. This is perhaps the 10,000 lb elephant in the room. The net was always considered the last bastion of free speech, but the net isn’t a public sidewalk. People need to get that. It’s very sad to lose privileges and to see a major part of your livelihood either compromised or lost, but this is why it’s also important not to pin all your earnings to one stream. Sometimes, often times, the well dries up – have many to choose from. When Vegan Gains made his apology video, with his wife beside him, it really affected me. That must have been very, very hard for him to do. I know what he’s going through – like I really do – and if you don’t, let me just say that it’s a feeling of very real powerlessness. You can appeal these decisions, make your case, do a lot of waiting and hope for the best. If a real life human being reviews the case and weighs the great amount of entertainment value VG brings and looks at him, for who he is, then I think we’ll see him back on. It’s very easy for people to be taken out of context, especially when you have a body of work that spans videos over years. It’s also very easy to get caught up in the drama of social media and say something you don’t truly mean. I’m not condoning any of his actions or statements and I can’t even say I’m a fan, but I’ve seen some of his videos, and I do find them entertaining. I also think he offers education, but he’s also very opinionated. Having opinions and making yourself heard, is a good thing, whether you agree with him or not. On the flip-side, I can see where social media wants to clean things up. There’s no place for bullying, harassment, and defamation online – and especially not, if that type of conduct is earning ad revenue. That being said, I find myself going back to the point I made in the previous paragraph. If a social media platform is going to stomp out bullying, they should really investigate, and look at the person, the whole body of work, and not fall prey to making hasty judgments on people. This is both because it’s the right thing to do – and – because it’s the right thing to do by your company. If VG made threats and/or bullied anyone, that’s wrong, but if we’re looking at isolated cases, I think there can be some remedial efforts made without removing the entire channel. Also, I keep saying that IF the appeal goes before a human for a reason. Some social media platforms, for reasons unbeknownst to me, are making huge amounts of money, but think so little of their customer service, that they have bots run everything. If a bot terminates an account and a bot takes the appeal, the prospects don’t look good. Fortunately, Google is one of the last companies that actually cares and employs people to handle these types of issues; so there’s some hope. I’m all for making social media better, but I’m also a huge proponent of free speech (even on private forums) and I’m a big supporter of creative people. When creative people are silenced, social media will stop being, social. Meal Timing Study Says Don’t Eat at Night? Half an hour exercise a day? Make that 3 hours!